Wednesday, 5 September 2018 @ 3.00 pm – Magistrates’ Courts. Thursday, 6 September 2018 @ 1.00 pm. Please note that no Matters will be heard in the Supreme Court on this day. Friday, 7 September 2018 – Closed All Day. 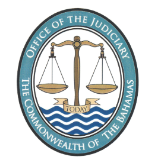 THE PUBLIC IS FURTHER NOTIFIED that the Office of the Judiciary (Supreme Court & Magistrates Courts) will resume full business operations on Monday, 10 September 2018.